The Resilient Leader: Consultant, do no harm! As a Consulting Psychologist, my goal is to help people. As a matter of fact, my practice is heavily influenced by Edgar Schein's "Process Consultation" approach, in which the first of 10 principles is: "Always try to be helpful". So in my work in organizations, my goal is to be helpful: To help the individual I am working with, his or her coworkers, and other key stakeholders in the company. 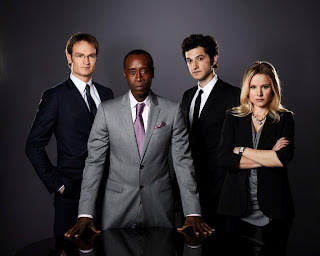 Despite the Showtime series "House of Lies", I imagine most consultants have this goal--to help our clients. However, there is the law of unintended consequences. And there are sometimes conflicts of interest. So how do we ensure that we are always helpful....or, at minimum, do no harm? I suggest we be careful; very, very careful. A good example of potential harm that is sometimes overlooked is with the introduction of 360s as a management tool. I have discussed 360s in an earlier blog posting . So what is the potential harm? There is growing consensus on the benefits of 360 assessments, but there is also some research that suggests caution. For example, a 360 report containing a high percentage of very negative feedback can be overwhelming to someone with a fragile personality, particularly if it is not delivered sensitively and appropriately. Implementing a 360 assessment considered confidential, when in reality it is not, can also cause harm if, for example, the leader retaliates against someone for honest but not-so-flattering comments. Using 360s for performance appraisal rather than development can be risky; one should be cognizant of the potential risks in this situation and ensure the implementation process is well-designed to mitigate any potential harm. Companies need great leaders and this is especially challenging today given the rapid changes and complexities of our global economy. Assessments that help leaders better understand themselves and others can provide significant value to companies. As consultants we can really help; but we must understand the risks as well as the benefits of this sensitive work, and companies need to understand this as well. Sometimes providing this information is uncomfortable; sometimes we must make the difficult decision to walk away from a situation we know is not right. We can provide great value, but first, and most importantly, we must DO NO HARM!